Edited by Fauch at 18:04, 04 Apr 2015. The existence of Hades is as old as the existence of humanity itself. 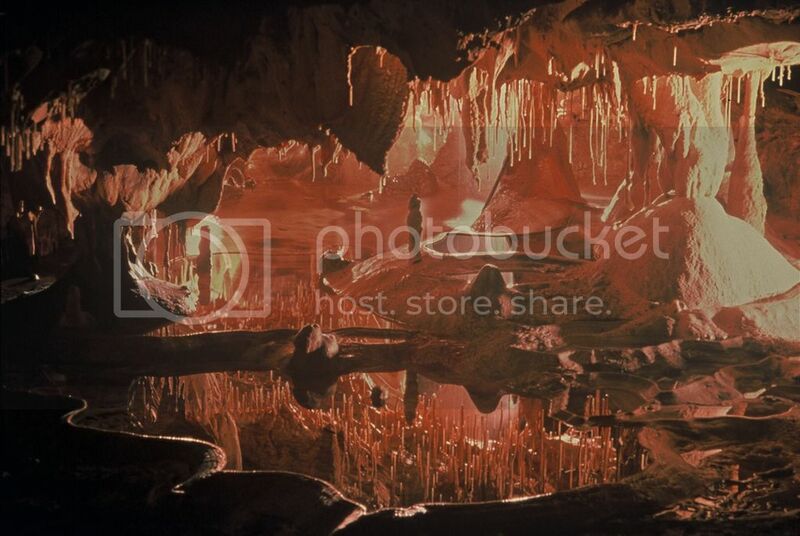 Hades is a physical location situated deep inside the earth, and consists in a network of massive caverns (some can be some kilometers high and wide) where run boiling rivers. 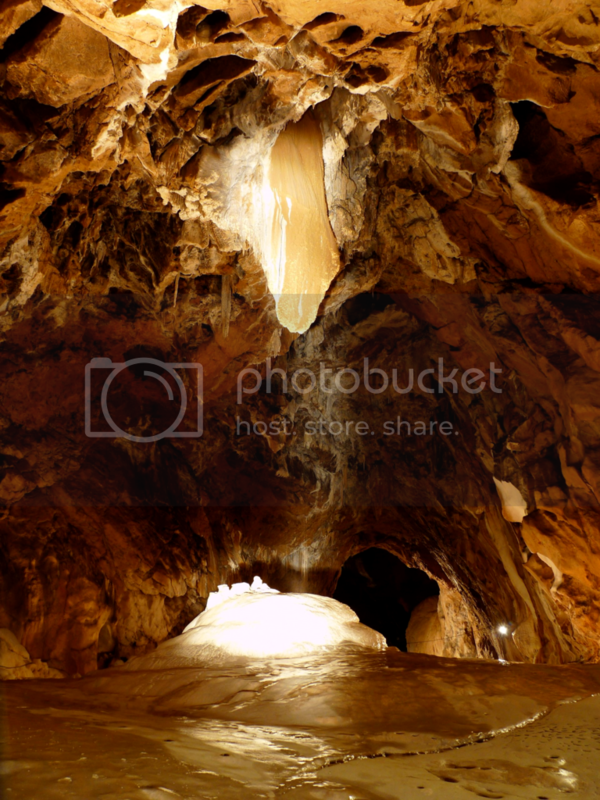 It is also filled with toxic gas, and few creatures can actually survive down there. The presence of dwellers is difficult to detect, as Hades creatures tend to make buildings by sculpting inside rocks, similar to what troglodytes would do. 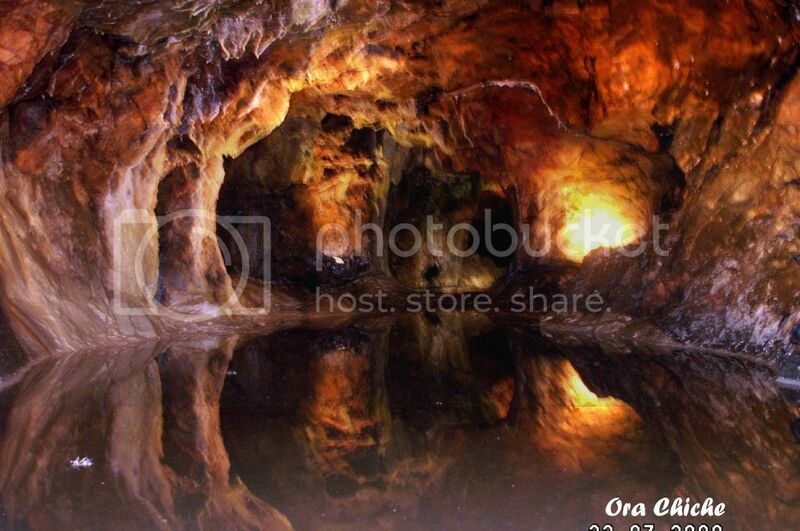 It was meant as a place to put the souls and their dead bodies, so that they wouldn't pollute the world of the livings. Actually, Pit Lords managing the Hades have a mission of preserving humanity, they rule over supernatural creatures which have the power to cleanse the world of livings. The Fate Spinners' role is mostly to control overpopulation by ending the lives of people that would be deemed too incapacitated. Then comes the Sirens and Harpies. Souls rarely leave their place of death of their own accord, and their haunting presence can become a nuisance or even a danger to livings, which is why Sirens have to lead them to Hades, where they'll stay for eternity. Dead bodies pose huge sanitary problems, and despite humans built graveyard, there is no way they can dispose of all their deads this way. Most of them are actually found and brought to the Hades by Harpies, a beast that was chosen and tamed because of its ability to fly, its great strength and scavenger nature. Soulless Might damage. Weak and average speed but high growth, making it the core tank. Soulless are bodies stripped from their soul. They are mindless and obedient warriors. -Undead. This creature isn't living. It isn't subject to morale and some other effects. 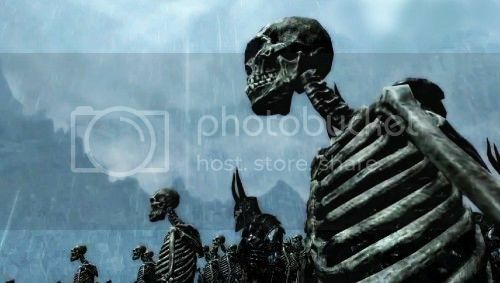 -Skeletal. Reduces damage from ranged physical attacks by 25%. The long stay in the depth of Hades darkened those soulless so much, that they litterally absorb light. Like a black hole. -Light dampener. This creature is immune to light magic blesses. Also, the effects of light magic are reduced by 15% on itself and on adjacent tiles. -Immunity to curses. This creature is immune to dark magic curses. Manes Dark damage. Strongest core, good physical defense. This is what a soul becomes when it has been separated from the body. -Incorporeal. This creature can move through stacks and non-magical obstacles. Might damage dealt to this creature is reduced by 25%. -Soul. This creatures suffers 25% more damage from souleaters and deatheaters. Also 20% of creatures killed this way can't be brought back to the battlefield. Death is very disorientating for souls, the loss of their body makes interractions with the world considerably harder. While they eventually learn to interract with some of their environment, that's a condition that quickly drives them crazy and mad, and that's why they have to be kept away from living people. -Dark embrace. This creature corrupts the soul of any living creature it attacks. The target stack now emanates a dark aura which reduces his dark resistance as well as the dark resistance of all adjacent living unit by 15%. Lasts 2 turns. Harpy Might damage. Weak, though less than the Soulless, fastest core. Harpies are vile, scavenger creatures. They are used to go pick up the rests of the deceased and bring them to Hades. They can then be turned into soulless. And harpies can feast on their flesh. -No soul. This creature has the characteristics of a living creature, but its morale isn't lowered by alliances with evil or undead creatures. Same ones, more annoying. 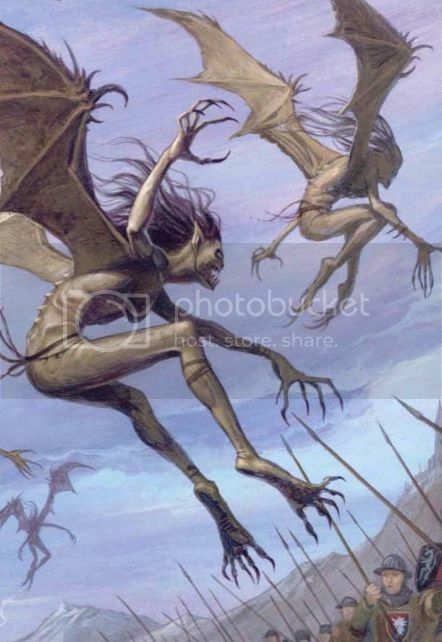 Harpy Hags are battle trained harpies. -Harrassment. Enemies adjacents to harpies Hags see their damage reduced against any other creature than the adjacent harpies Hags by a ratio depending on their total stack strength and the total stack strength of the harpies Hags. Siren Dark damage. Average strength for a shooter, good speed. Sirens have the innate ability to be able to talk with souls. They normally only contact souls of deceased people, and their role is to lead them to Hades. -Hypnotizing chant. Activated ability. Instead of taking an action, the siren can take control of any living stack (including allied ones) and force them to move immediately (no other action than moving is possible). The control ends right after the creature ends his movement and its initiative isn't affected. When they get older, the voice of the sirens mature. Their supernatural voice sounds like all the pain in the world and will cause sorrow and often pain to any creature with a soul. Contrary to some beliefs, Banshees don't kill, their moaning is to warn of an imminent death, but doesn't cause the death, though beware that if you hurt a Banshee, their cry of pain is absolutely impossible to withstand for most creatures. -Agony scream. 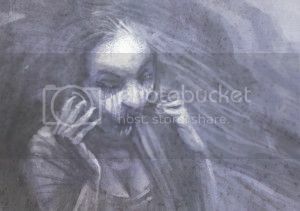 When hurt, the banshee let out an unbearable scream of pain. 10% of damage received from any source are reflected to all adjacent enemies, and 5% to enemies who are a tile away. Cerberus	Might damage. Very strong, good offense, defense and speed, no obvious weak spot, lower growth. 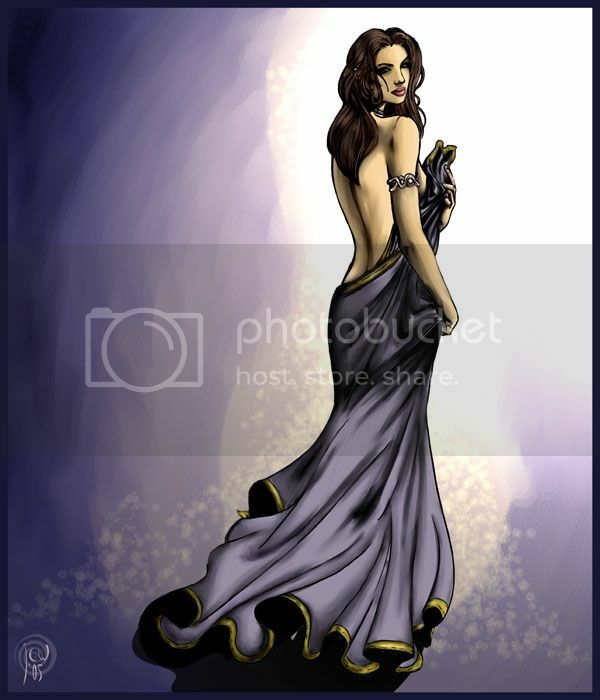 Cerberi are the well known guardians of Hades. They prevent anyone from leaving or entering. -3 headed attack. The cerberus can attack all enemy units in front of itself (in a half circle) at once. -Hell guardian. Activated ability. 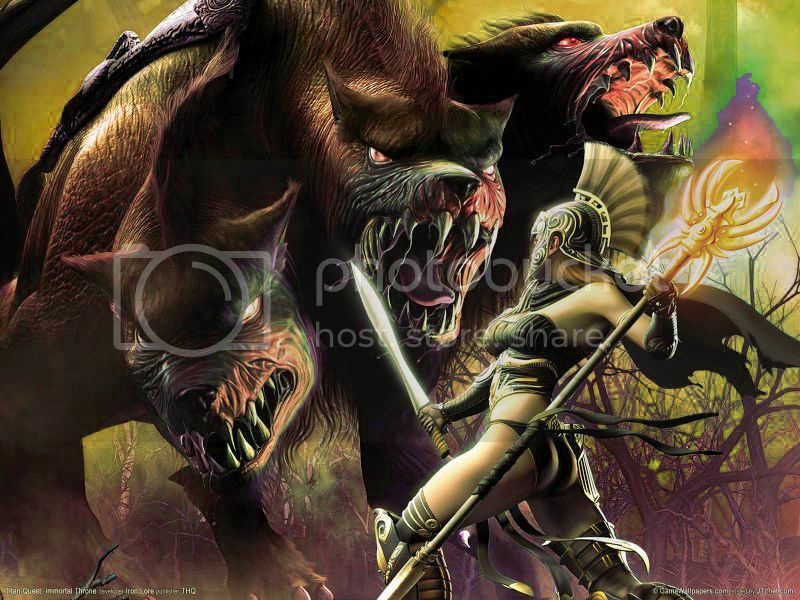 When in defense mode, the cerberus retaliates to all attacks that can be retaliated. Also he gets a free attack on all enemies who pass by. Kerberoi are older and battle hardened cerberi. They inspire terror to their victims. -Intimidation. All enemies stacks who stands in front of the Kerberos (that is to say, in its attack radius) have their initiative lowered. Soulsucker Dark damage. Under average defense, but good speed. Soulsucker are kind of the warders of Hades. They prevent souls (spectres) from escaping and keep them in order. -Soul sucker. 10% of living units killed by a souleater can't be resurrected (though necromancy and animation spells will still work). -Necromancy. 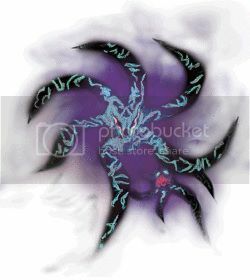 At the end of the battle, 10% of the living units killed by souleater are added to your army in the form of soulless. A soulsucker which gathers enough power by devouring souls can actually become a much more powerful Souleater. -Soul devorer. 20% of living units killed by a deatheater can't be resurrected (though necromancy and animation spells will still work). -Advanced necromancy. At the end of the battle, 20% of the living units killed by deatheater are added to your army in the form of soulless. 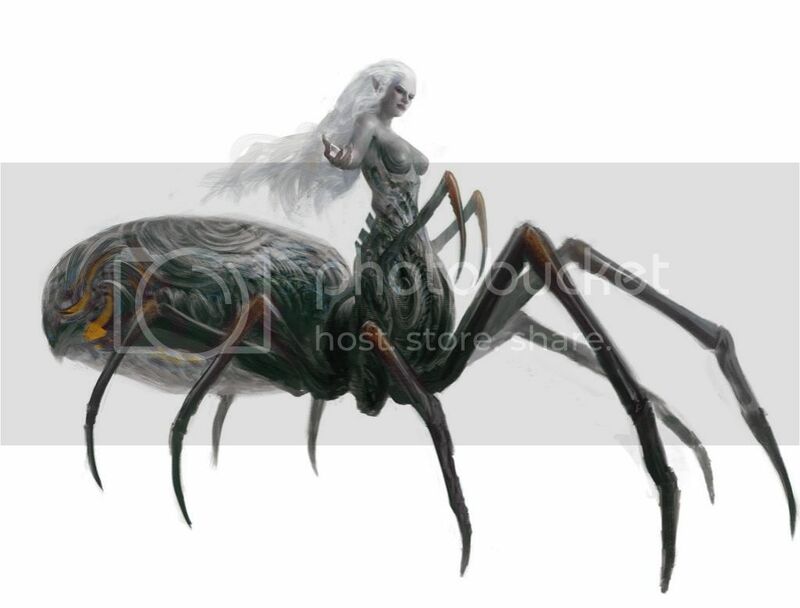 Fate Spinners are arachnoid creatures. Each of their thread symbolizes a life. They decide when it is time for people to die. -Climber. This unit can climb walls and pass over castle walls as if it was flying (Though it still has to walk through the moat). In underground battles, if this unit moves at least 3 tiles, it will climb to the ceiling and avoid all obstacles as if it was flying. -Death from above. In underground battles, if this creature attacks from the ceiling, it will suffer no retaliation. -Paralyzing web. Activated ability. The Fate spinner can skip its turn and trap any enemy stack in a range of 5 tiles. A trapped stack can not take any action or retaliate until it has broken free (But when it breaks free, it can play immediately). The web has a number of hit points proportionnal to the number of fate spinner. The effect isn't cumulative. Cooldown : 3 turns. Fate weavers have control over destiny. By spinning the thread of life, fate weavers can influence the future of other creatures. -Web of decay. Prime damage. Maximum health of living creatures trapped by a paralyzing web is decreased by 10% per turn until the creature manages to break free. -Visions of the future. Activated ability. This creature skips its turn, and you can now foresee the consequences of your actions for a whole turn, that is to say activation of luck, morale or random abilities. Just hover your mouse anywhere, and the tooltip will tell you all the random events that will be triggered if you take that action. Pit lords are the overseer of Hades, they give orders and make sure everyone is doing his work. Pit Lords are very important in coordinating work within Hades and making sure the world of the livings is cleaned of its deads in the most efficient way possible. In time of war, their natural ability to command such fearful creatures as the cerberi or banshees makes them dreadful opponents. When you kill a creature, the energy which bound the soul to the body is liberated. Pit lords can capture a portion of that energy. Each time you defeat creatures who have souls, the energy pool of your hero increases (the more numberous and stronger they are, the more energy you get). Once you reach a certain threshold, your hero can use his energy points to buy primary skills points (attack, defense, knowledge, spellpower) or speed increase on the adventure map. -Bone pit. 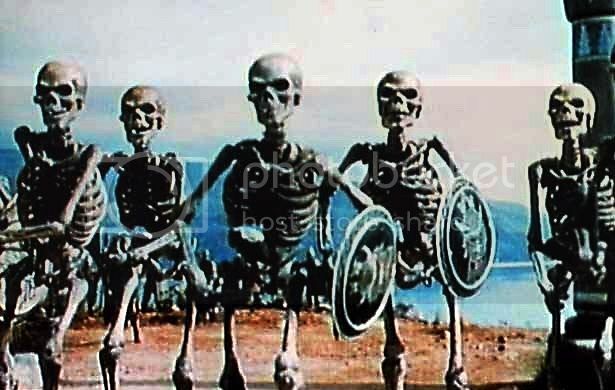 Skeletons are found all around the depths of Hades. ==> Black pit. Cursed absorb light. The places where they lie aren't really deeper, they only appear so. -Harpies Nest. The harpies like to dwells on the highest spots of Hades. ==> Harpies lair. Sometimes harpies can find cavities which provide much better protection and hiding than a simple nest. -Soul Prison. Though it doesn't really look like a prison. From a far it doesn't even look like anything at all. It's when you get closer that you notice the runes which generate a forcefield that only souls without a body can't cross. ==> Purgatory. The most corrupted souls are kept in control with much more powerful runes. -Hades gates. Cerberi need something to guard, don't they? Those doors are the only access in and out of Hades. ==> Fortified Gates. Stronger gates, stronger cerberi - HoMM's logic. -Chapel of the damned. Sirens gather up to sing in those places. It is said that witnessing them is an experience that marks your soul forever. ==> Cathedral of the damned. Sirens sometimes build magnificent temples. -Dimensionnal rip. The origin of Soulsuckers is mysterious, but they only ever appear in Hades. Distorsions appear in space and then they just come out of nowhere. It is said they come from a dimension which is beyond death itself, where souls would go after they were devoured. ==> Dimensionnal fault. Souleaters are bigger than Soulsuckers and thus need to rip bigger holes in space to enter our dimension. -Chamber of the Fates. The chamber of the fates has existed for as long as humanity itself. In this gigantic chamber are weaved millions of threads. Each one representing the life of one living creature. ==> Palace of the Fates. Because weavers like luxury. Especially those of a higher rank. Improves the Power Hungry racial ability and allows the hero to transfer his energy pool to the castle (the hero doesn't need to be in the castle) the energy pool of the hero then goes back to 0. The energy kept in the Energy well, can be used within the castle containing it, to create new units in dwellings for a moderate energy cost (you still have to hire them then for the usual cost), which could be translated to increasing growth, but only punctually. I dunno if the energy cost should follow linearly the gold and resources cost, or be exponential. Also, every visiting Pit Lord hero can very well use this pool to increases his own stats, or even add it to his own pool. Upgrade of the Energy Well. You now have a single energy pool which is shared between this castle, all your Pit Lord heroes, and each of your castles equipped with an Energy Nexus. Allows you to sacrifice allied units with a soul. It increases the energy pool of the castle. an interesting lineup though. The "No soul" ablity looks an interesting alternative to a fully undead lineup. I look forward to town, heroes and especially background! However, as they are quite capable of necromanting soulless... assume soulless are quite the "weak mass" creatures? yeah, they are a classic actually.